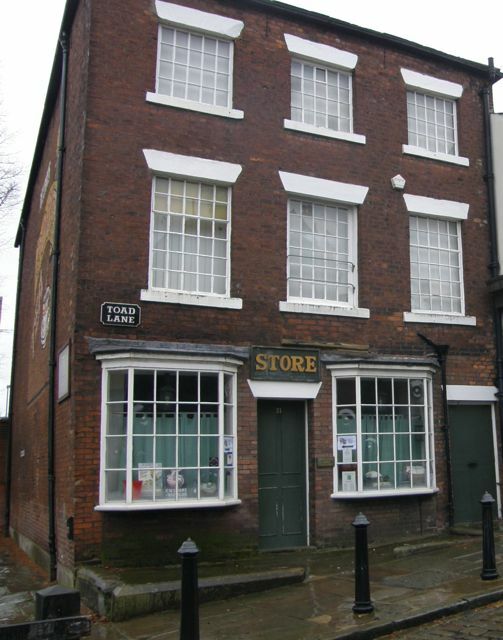 Last Sunday, we watched the Film 4 première of the film The Rochdale Pioneers, which describes the birth of the co-operative movement in a small store in Toad Lane, Rochdale. It is a highly moving account of a key moment in labour history – and especially moving for me as I spent my formative years just off the Spotland Road in Rochdale and shopped (complete with divi book) in the local co-op which by then had moved a few doors down the lane. The film focuses on the months leading up to the opening of the store on December 21, 1844, in the face of opposition from local shopkeepers, difficulties in finding a landlord prepared to rent out premises, and the refusal of wholesalers to supply the new store. Eventually, for its opening night three of the pioneers purchased £16 worth of stock from Manchester market and transported it back in a wheelbarrow – no mean feat, given that the opening stock was 28lb of butter, 56lb of sugar, 6cwt of flour, a sack of oatmeal and some candles, and that the market was over 8 miles away, across the Lancashire moors. The store depended on the hard work of the original 28 pioneers, and the raising of £28 in capital from local weavers and other artisans who were living through the ‘hungry forties’ when unemployment was high, most people lived on just over a shilling a week (or less), 85 local families did not even have blankets, and retailers regularly adulterated flour with chalk, leaving local people prone to hunger and disease. 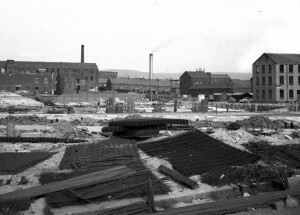 But Rochdale already had a long and proud history of activism, to the point that troops were stationed there throughout the early nineteenth century to put down a series of strikes and uprisings by the local cotton weavers. 1844 was also the year when Mark wrote his seminal Economic and philosophical manuscripts, Engels wrote the History of the working class in England, and parliament passed a Factory Act setting a maximum 6 hour working day work for 6-13 year-old children. Four years later there were revolutions across Europe, most notably in France, Germany, Poland, Italy and the Austrian Empire. All these events were to leave a lasting legacy – but the legacy of the pioneers and their Rochdale Principles is exceptional. Within 10 years there were over 1000 co-operatives in the UK; there are now almost 10 million UK co-op members, while in France 1 million people (3.5% of the working population) work in co-ops (and 2 million in the US). 2012 is the UN’s international year of co-operatives. When I lived in Rochdale in the second half of the 1950s and the early 1960s, the town was still enduring hard times as cotton mill after cotton mill closed – scenes caught in a haunting series of photos taken by Dr Neil Clinton who kindly gave me permission to use them in a video of the Spotland Road, my song about growing up in the Lancashire mill town. But I remain deeply proud to have known the town, and grateful to the makers of the film for immortalising such a defining moment in our social history. 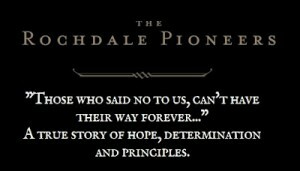 You can download an excellent brochure about the Rochdale Pioneers from the Toad Lane museum, and visit the website of the film. The film will be screened again on Film 4 on November 23rd at 11am and again on November 26th at 1.20am.